Posted September 27th, 2011 by Yvonne Hawkey & filed under Power Cables, The Chord Company. 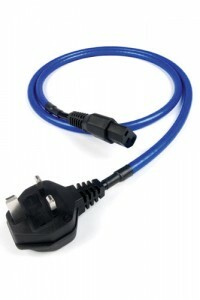 Very cost effective improvement on the usual poor quality cables that are supplied with the majority of entry level equipment. We do our superb â€˜introduction to musicâ€™ system with the brilliant Rega entry level products and a loom of Super Screen, Carnival and Crimson Plus.